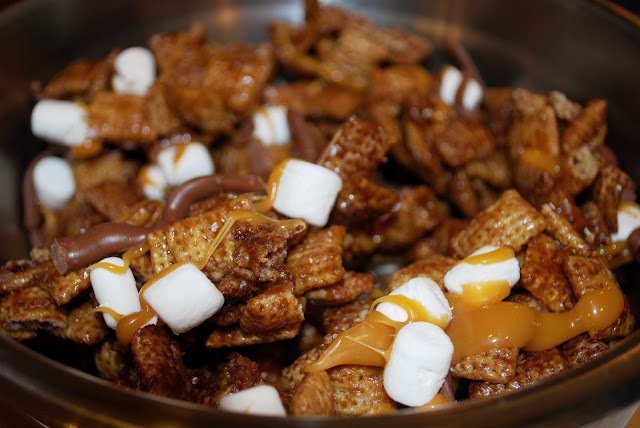 In a separate microwaveable bowl or measuring cup, combine brown sugar, butter, and light corn syrup. Place mixture in microwave for 1-2 minutes, stirring after 1. Combine mixture well. Stir in baking soda until dissolved (so it looks as pictured above). 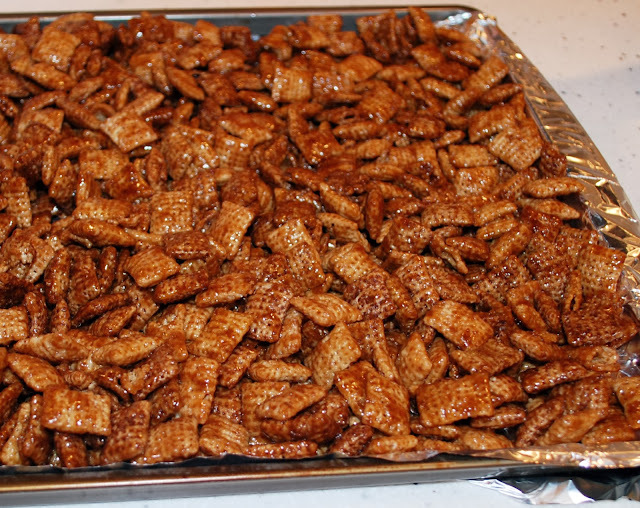 Pour mixture over dry cereal and mix it in well, evenly coating all cereal. 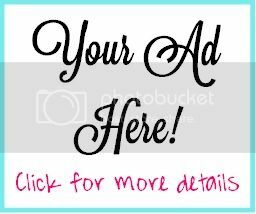 Once mixed, place the bowl in the microwave on high for 3 minutes, stopping to stir every minute. 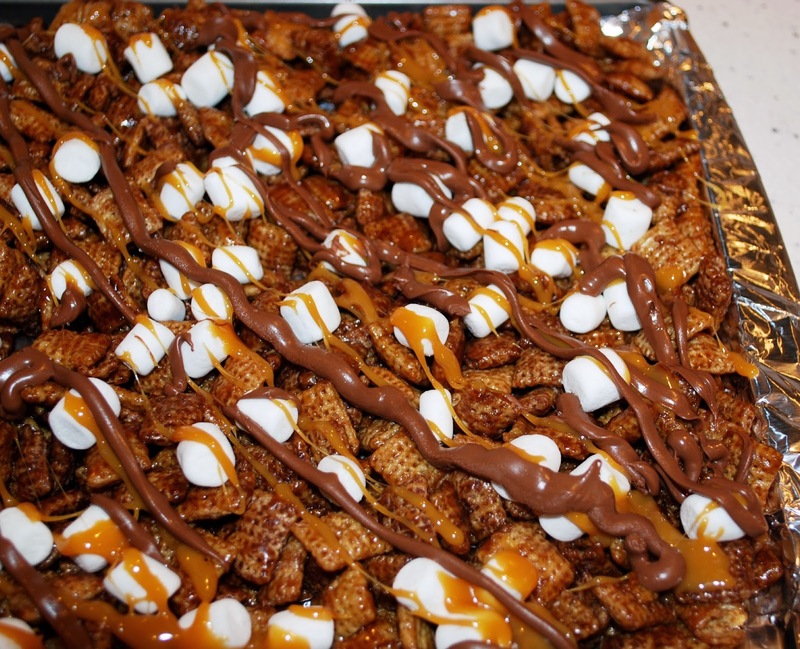 Line a cookie sheet with foil or waxed paper and spread and press mixture evenly onto sheet. 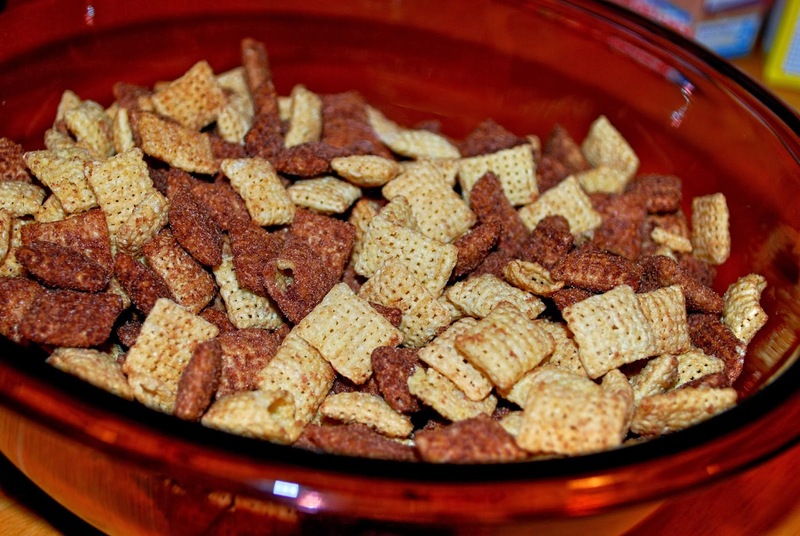 Let cool for 10 minutes to allow the cereal to stick together. 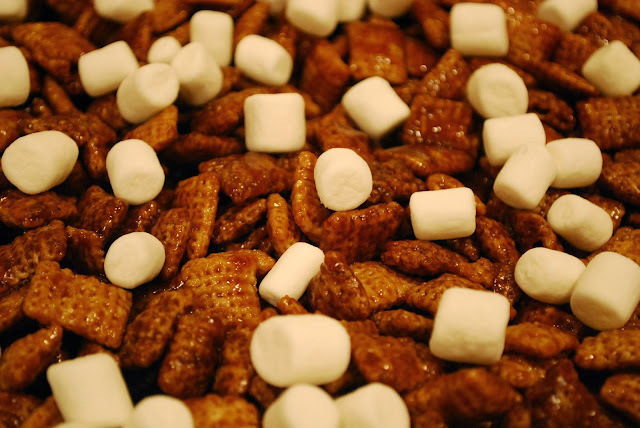 Spread marshmallows evenly over Chex Mix. 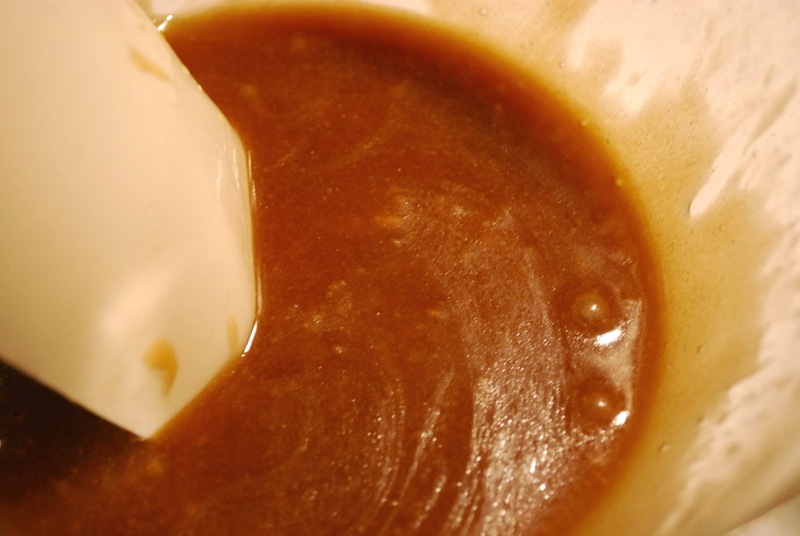 Next, melt caramels in a microwaveable bowl with the heavy cream on high for 1 minute or until caramel is melted. Mix caramel until smooth. 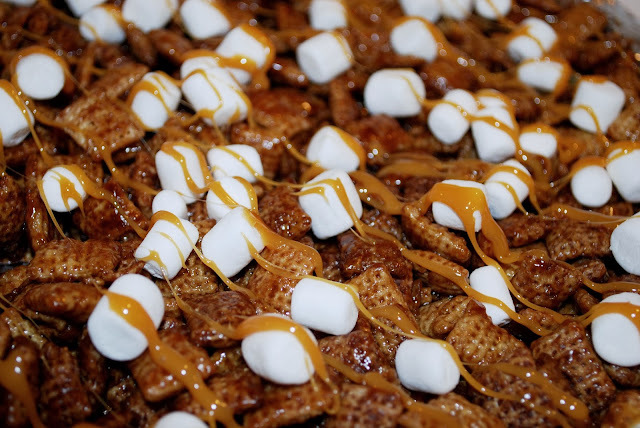 Drizzle caramel over the Chex and marshmallows with a small utensil (drip with a spoon as opposed to dumping it in) to keep from getting too concentrated in one area. 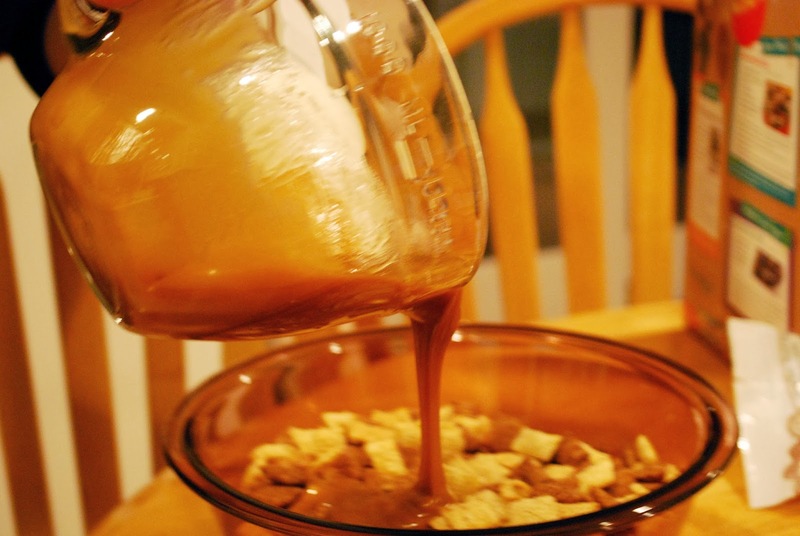 Melt candy wafers in a microwaveable bowl (yes, another one!) based on the directions on the bag. Once melted, stir until smooth. 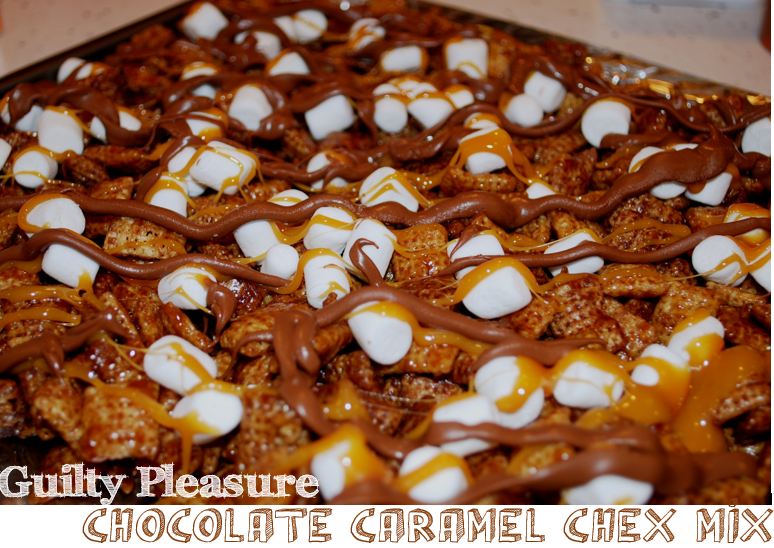 Place into a piping bag (or ziplock with the corner tip cut off) and drizzle it over the Chex/marshmallow/caramel mixture. Refrigerate until hardened (only a few minutes). 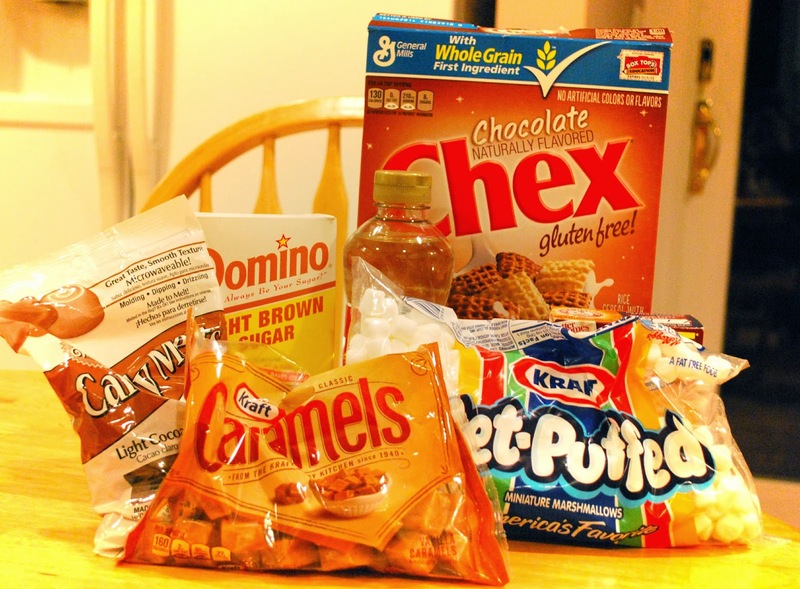 Break into pieces and you're ready to eat! This recipe was made for a pot luck lunch at work, and it went over great! It is incredibly easy to make and great to bring to events! If you plan on serving it the next day, cover the top of the bowl tightly and let sit at room temperature.